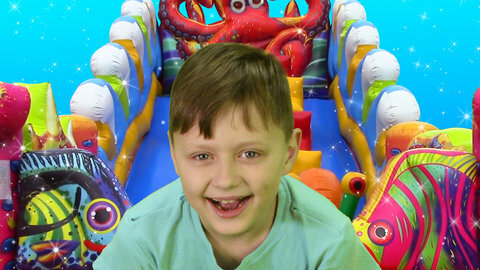 The boys really know how to have fun as you can see in their funny videos for kids just like in this episode where they play outdoors in the inflatable playground. They simply love sliding down and moving through the different inflatable playgrounds. See them enjoy and have fun playing together while you listen to kid songs like Baby Shark, Skip To My Lou, and If You’re Happy And You Know It. Let your kids feel excited and let them learn lots of kid song by going to SeeZisKids.com to watch other videos just like this.